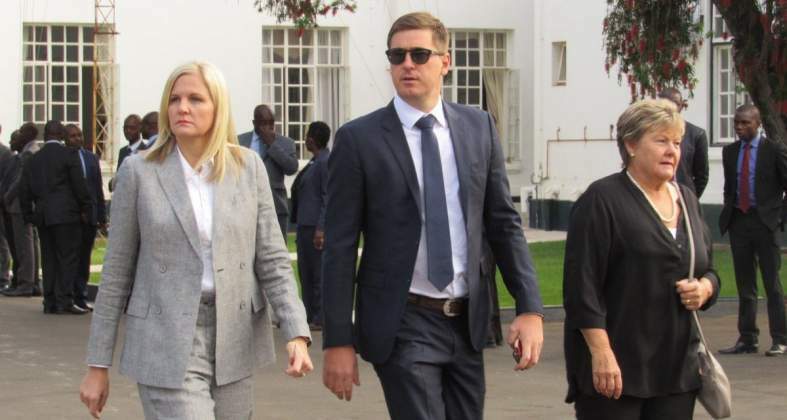 MDC Alliance leader Nelson Chamisa holds new sports minister Kirsty Coventry in high regard for "her lifetime of sacrifice in raising the Zimbabwe flag", the opposition leader's spokesman has insisted. Chamisa torched a social media storm over the weekend when he used a Shona word for swimmer that has a different and rude meaning in Ndebele while commenting on Coventry's appointment to President Emmerson Mnangagwa's cabinet. The opposition leader was addressing the MDC faithful Chitungwiza at a rally called to "thank" them for their support in the July 30 elections. A native Shona speaker, Chamisa drew widespread condemnation over his word-choice while many rushed to his defence. In a statement late Sunday evening, the opposition leader's spokesman Dr Nkululeko Sibanda said; "We would like to emphasise what the President said in Shona yesterday, which is that Kirsty Coventry is ‘our swimmer'. "That she is a swimmer who has made this country proud and excited, even when there was nothing else to smile about. He affectionately referred to Kirsty Coventry, albeit, in Shona as ‘our swimmer'!" Dr Sibanda added; "For this reason, we de-emphasise the ill-intended rampant social media insinuation that the use of Shona was wrong. "The use of Shona in a speech on one of Zimbabwe's greatest sports persons, is neither a crime nor should it be used as an excuse for whipping emotions. This is irresponsible, wrong and frankly unacceptable. "The President praised and honoured Kirsty Coventry and encourages Zimbabweans to continue to respect and honour our heroic sons and daughters. People must desist from bastardising the use of local languages." Coventry was one of the two generally commended of Mnangagwa's cabinet picks along with finance minister Professor Mthuli Ncube. However, Chamisa, who maintains that he won the July 30 elections, said they would Ncube and Coventry would not make a difference because of the illegitimacy of Mnangagwa's presidency. "The point that the President makes is that the addition of Kirsty and Ncube in a cabinet led by an illegitimate president, will not be enough to rig ZANU-PF's way into legitimacy," said Dr Sibanda.